6 Facts that You Misunderstood About Sake: Fact 3 – Sake Should Not Always Be Preserved Like Wine – SakeTips! When you go to a liquor store in the United States looking for sake, you might be a little frustrated to find that sake that should be refrigerated is displayed on a dry shelf as if it were wine. Although there are some sake that can be stored at room temperature based on the manufacturing method, others require refrigeration to maintain quality and preserve the right flavors. Let’s learn how to save sake this time. Nama (draft) is an example of sake that you should preserve refrigerated. This “unpasteurized” sake refers to microorganisms that have been active for fermentation and in the process of drinking may still being active in the sense that it did not undergo heat sterilization and is unpasteurized. When microbial activities become active, the fermentation proceeds in the bottle, and the taste changes rapidly and steadily. In order to stop this transformation, we have to lower the temperature and cause the microorganisms to hibernate. It is said that it is not possible for yeast to continue working around 40 ° F (4 ° C) . With that being said, the temperature range 55-60 ° F (13-15 ° C), which is typically known to be the proper preservation temperature of wine, is too high for Nama. Besides Nama, it is also desirable to keep refrigerated Ginjo or Daiginjo types of sake. The words Ginjo and “Daiginjo” mean that the rice is more polished, but since there are many fruit-like scents and sensitive flavors, preserving in refrigerated condition is strongly recommended. Sake that are not categorized as “Nama” or “Ginjo/Daiginjo” may be stored at room temperature. Junmai sake and Honjozo sake (which has added alcohol) are relatively sturdy. If you make a mistake with these types of sake, the taste will be greatly deteriorated. Ultraviolet rays are enemies of sake. 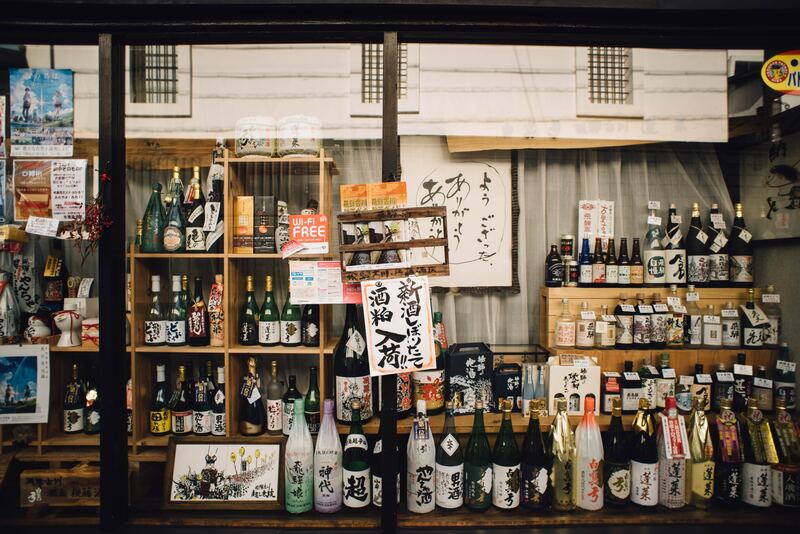 Sometimes, restaurants and liquor stores unknowingly line sake bottles at the window where the sun hits, causing changes in the sake flavor and quality. Also, sake is vulnerable to sudden temperature changes. For example, it is dangerous to place it near a gas stove in a kitchen or other spots where it is sometimes hot although it is usually cool. In other words, it is recommended to avoid direct sunlight and store it where the temperature is stable, in a cool and dark place. Also, since the taste changes quickly after opening, it is best to preserve it in the refrigerator just like “Ginjo” or “Daiginjo” sake. A critical point that should not be misunderstood is that “temperature when preserving” and “temperature when drinking” are different. For example, it may be more delicious to chill a Honjozo sake, which had been stored at room temperature to ice-cold only when drinking, or to warm the sake bottle that you kept in the refrigerator and drink it as hot sake; however, you would also like to drink it in a way that matches what you are eating for dinner. Remember that storage temperature is the temperature to preserve the quality for the longest time and drinking temperature for enjoying it in the most delicious state is another story! In the United States, even if sake is known as “rice wine”, there are still many people misunderstanding that many types of sake can be stored at room temperature, just like wine. However sake is a very delicate drink and if you make a mistake in the preservation method, you will miss out on the the original flavors that the brewer intended. Although it may seem a little difficult to remember the unfamiliar terms, basic knowledge of sake preservation is another step in knowing the real taste of sake and it is necessary. When buying sake, please also consider what serving method is suitable for that sake.